Maintaining your home is of course vitally important. Great stonework will also improve your house’s kerb appeal too. If you live in a red-bricked terraced house for example, the white-painted features will actually be built of Bath Stone – an oolitic limestone from the west of England. 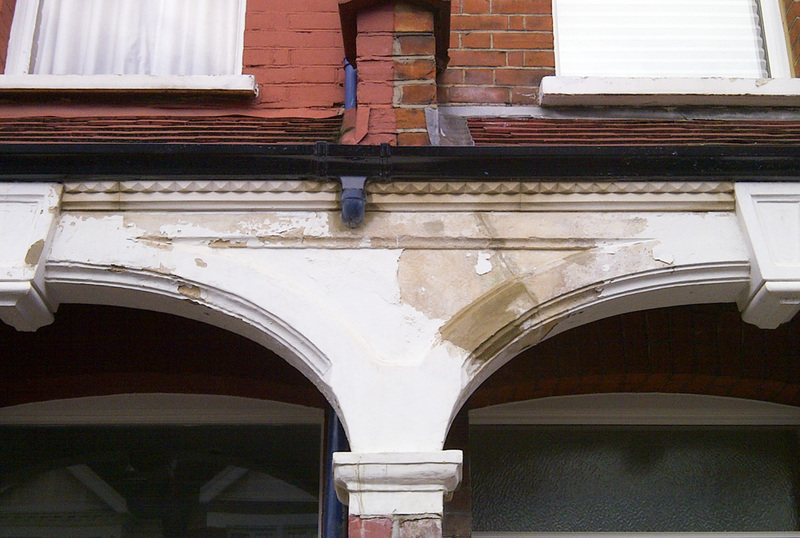 Older, oil-based paint is bad for stone – it doesn’t allow it to breathe and water cannot penetrate it, so when water does get in (as it always does) it has nowhere to go. Left for a long time the stone will erode and ultimately dissolve. As a stonemason I care about keeping your stonework in great condition. As a home owner myself I understand how difficult it can be to find the right trades person to do the best job. I will come to your house, survey the features, give you a report and recommend a course of action. There’s no obligation and I’m very happy to work with your other tradespeople. I carved two more of the stones above and inserted them into the porch (below). Note how only the decorated end is seen – the rest of the stone is hidden but structural. 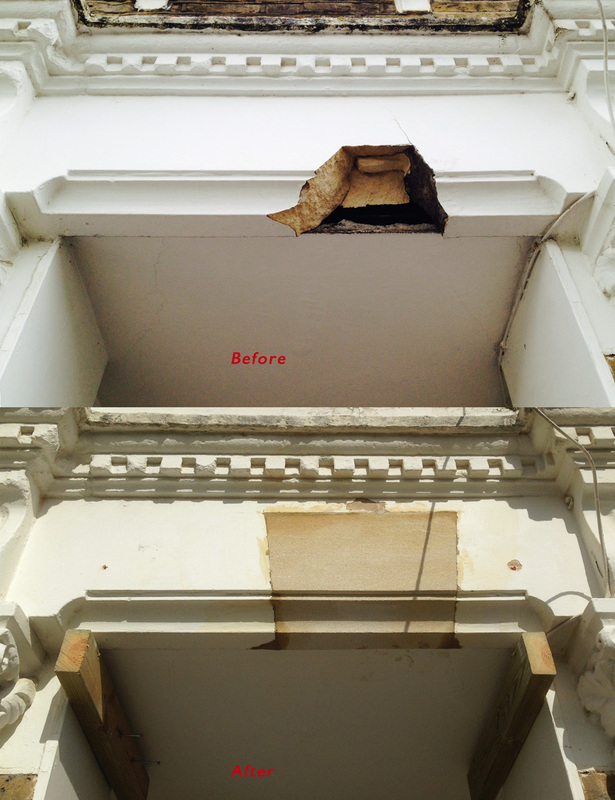 Other repairs were undertaken using a stone conservation repair mix. This headstone above a threshold was in dire need of repair. 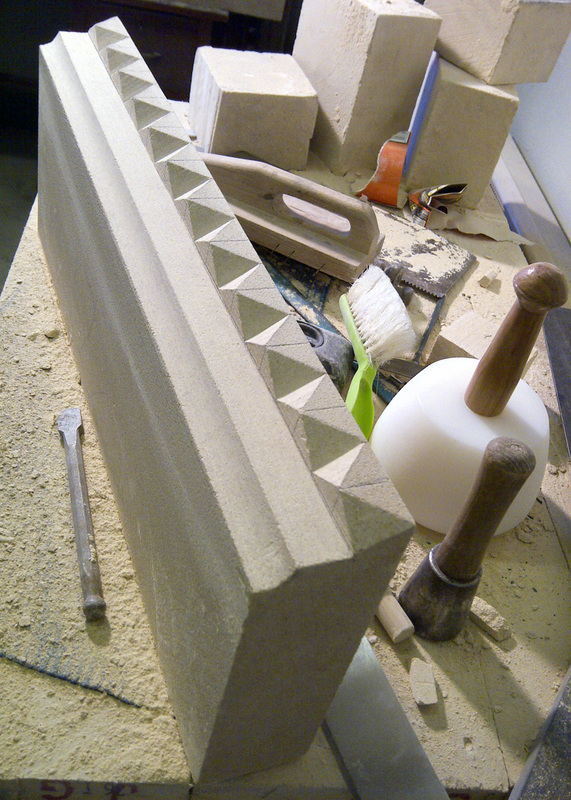 We cut a keystone-shaped block and worked the moulding in, ensuring a very snug fit. 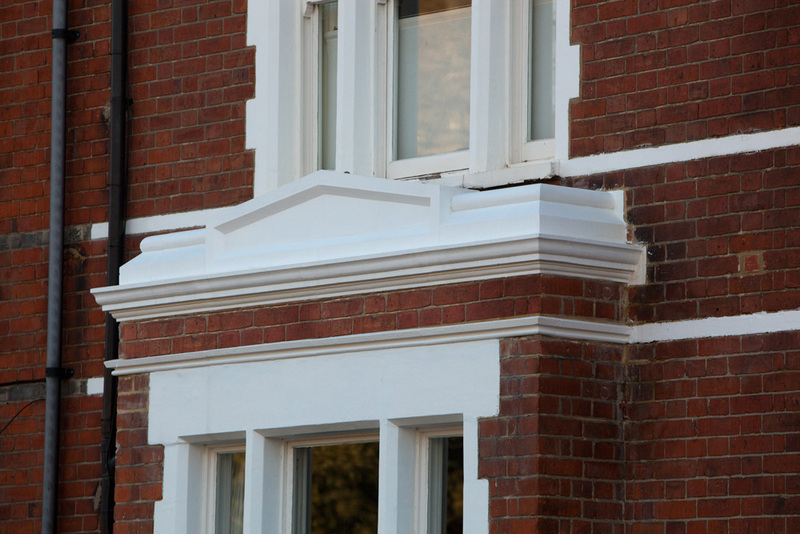 I carved and fitted a brand new pediment, string-course and brick courses. See here for more details. I converted this window into a doorway. 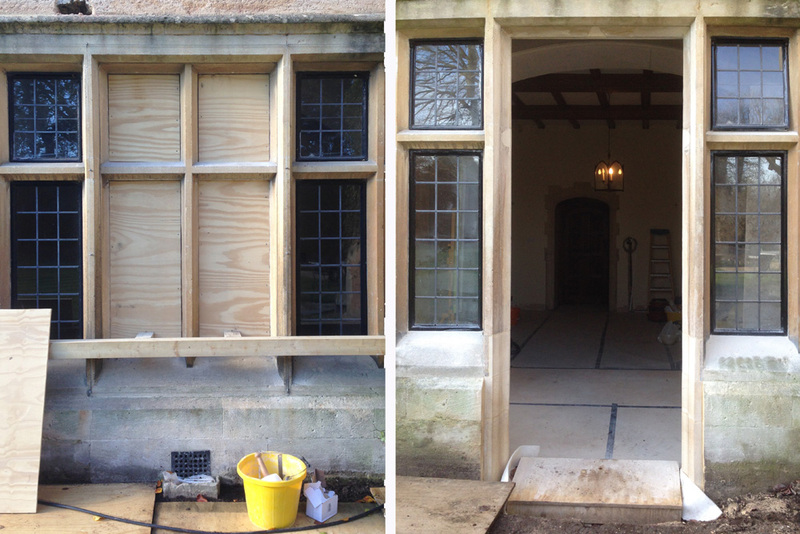 Part of an ongoing restoration and conversion project at a stately home in Wimbledon.